Oh, hey, it's that little guy! He's a adorable, isn't he? 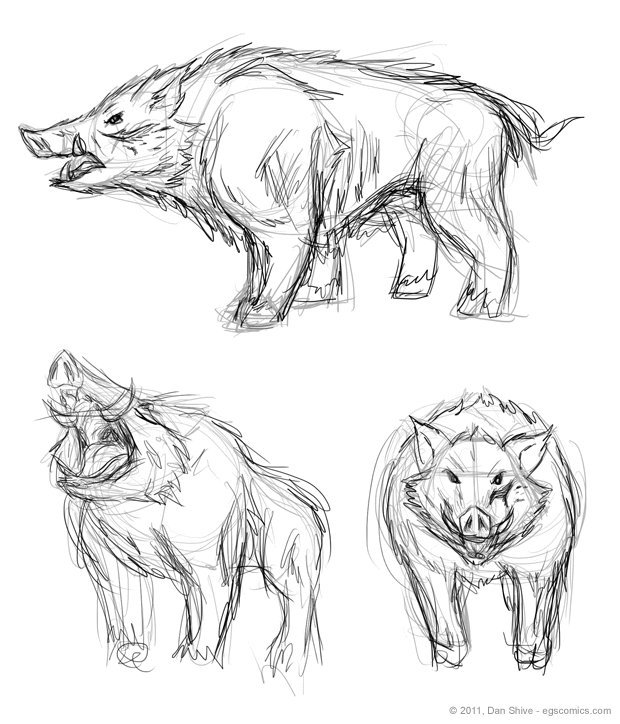 These aren't the most accurate of boar sketches, but I have to say the wide open mouth one takes the cake for being the most "what the hell." Seriously, it's like the boar has an alligator jaw. I've taken some liberties with how wide the mouth can open and such in the comic itself, but not THAT much. And now I want there to be an alligator boar. It wouldn't do much other than try to swim, and then it would sink, because it is ridiculous.